Under threatening skies we had a second "QRP by the Harbour" event in Sydney today. Facebook worked well to coordinate and publicise the event. 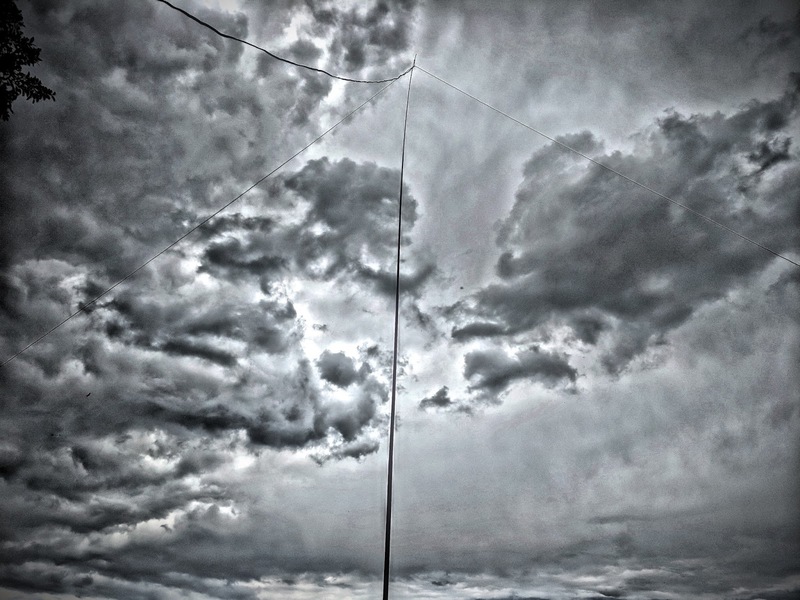 I set up a simple wire dipole fed with just the twin figure eight line and had contacts including local and one into VK4 which was about 800km away. 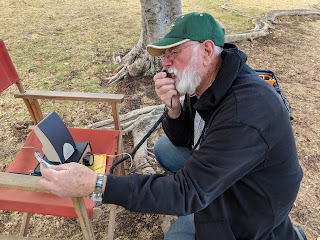 John, VK2ASU, ran up an end fed antenna high into a tree and had multiple contacts with a Bitx40. 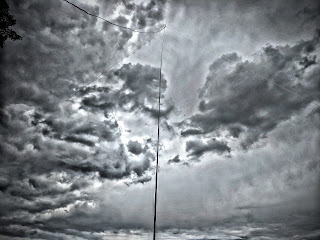 Peter, VK2EMU, set up a magnificent flag pole mast that I think was mostly to mark our location. 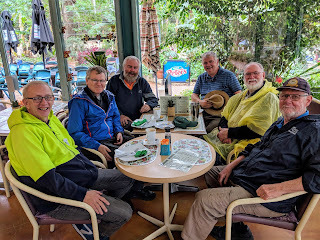 Despite good weather at the start it soon turned dark and in the end we faced driving rain and then hail which led us to abandon our position and adjourn to a nearby cafe. 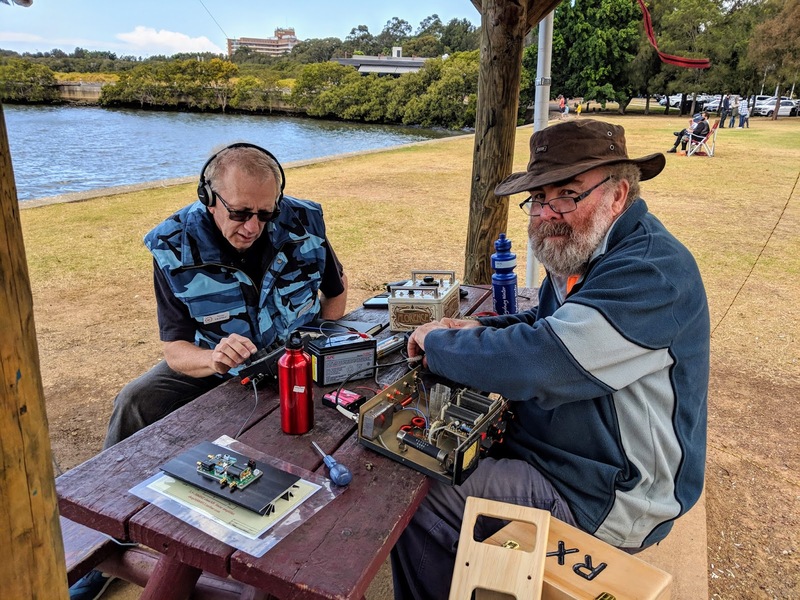 Nominate a 2m Simplex frequency for liaison - at least three people turned up but couldn't find us after we'd escaped the waterfront. (I'm very sorry about this). 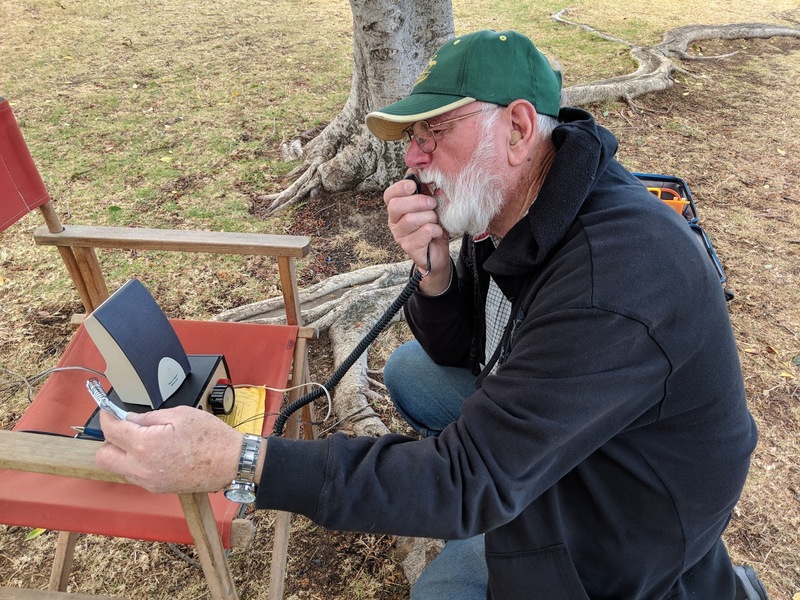 It's tough having multiple stations on the same band, or even harmonically related bands. Maybe we should consider having one main station? iPhone to Pixel 2 - what's better, what's worse?